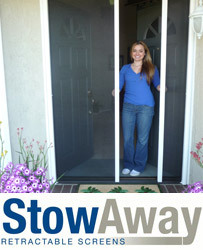 "The StowAway Retractable Screen is definitely a brand we will recommend to everyone in our neighborhood. The StowAway Screen has given us the view of our beautiful front yard. By putting the retractable screens on our double door entry, we are now able to open our front doors and enjoy the scenery along with the fresh air and clear view!" 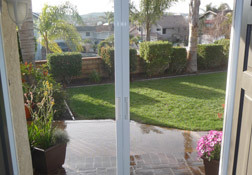 "I've lived at my house for 16 years and I have never opened my French doors for ventilation before my StowAway retractable screens were installed. Now I open them all the time. 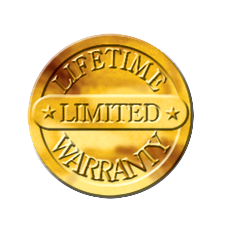 Your service was outstanding and professional." 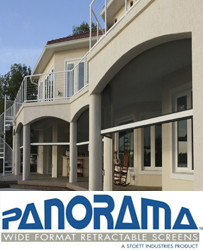 "I just wanted to let you know you did a wonderful job installing our Panorama Power Screens. As soon as we are done with our construction we will be giving you a call to get some more screens and possibly some windows done too. Thank you very much and we appreciate it. My husband says this is the best purchase we have ever made for our home!" 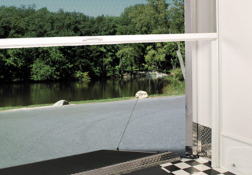 StowAway Invisible Screen Doors have developed many names over the years such as Retractable Screen Doors, Hide-Away Screens, Vanishing Screens, and Disappearing Screen Doors. 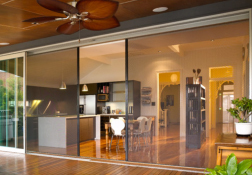 The StowAway Screen System can be applied to anyDoor or Window opening at a home or business to provide that crystal clear view that you have always desired. 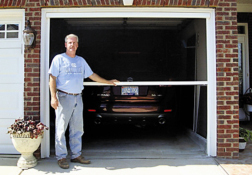 Panorama Motorized Power Screens can convert your Garage, Patio, Balcony, Office, Restaurant, Toy Hauler, Recreation Vehicle, or Bedroom Window into a shaded, comfortable, private and pest-free environment by simple pressing a button on a remote control. 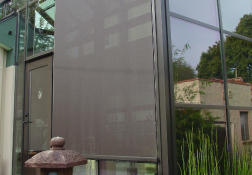 PanoramaLite Manual Pull Down Screens are available should motorization not be desired. 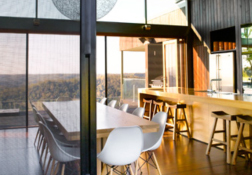 The PanoramaLite mesh is zipped along the vertical left and right rails for a tight bug free screen installation. 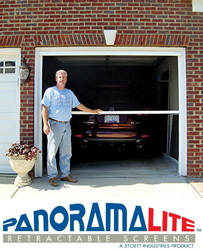 Great applications for the PanoramaLite include Single Car Garages, Nana Walls, Warehouse Roll Up Doors and Toy Haulers. 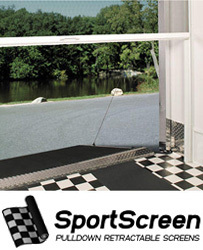 SportScreenis identical to the PanoramaLite minus the mesh zip feature. Great applications for the PanoramaLite include Outdoor Patio Sun Shades, Trailers, Recreation Vehicles and Toy Haulers. The Centor Architectural Screen is a great modern day screen that accommodates Nana Walls and Cascading Sliding Door applications. 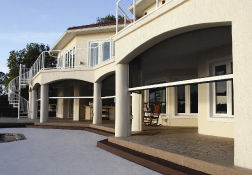 Centor Screening Systems are by far the most robust retractable screening system on the market. Insite Inside Mount Garage Door Screens are currently in the designing phase. 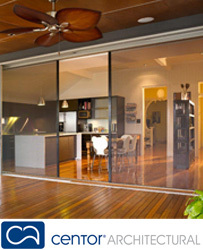 The ScreenEze allows you to bring the outdoors in by creating your own bug freeenvironment on any shape or size opening. 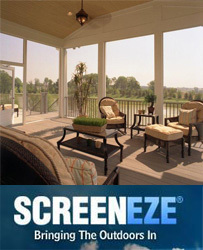 ScreenEze is a removable but yet fixed screen system. 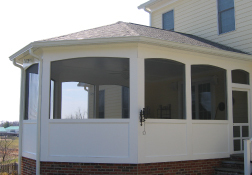 ScreenEze features an extruded solid aluminum base channel and a window grade vinyl cap which is snapped together and attached to your desired screening application.